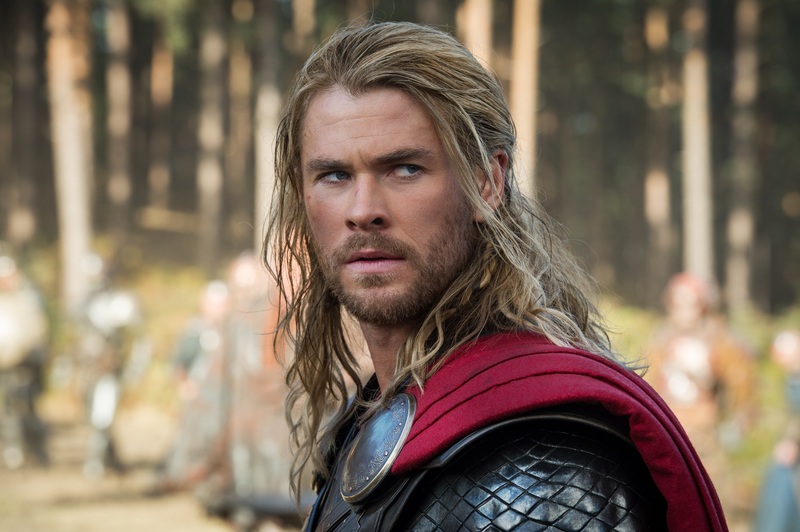 Thor is played by actor Chris Hemmsworth in the MCU. Thor has appeared in the films Thor, Thor: The Dark World, The Avengers, The Avengers: Age of Ultron and is set to appear n Thor: Ragnarok. Thor is one of the initial members of the Avengers. Thor first appeared in Marvel comics in "Journey into Mystery" #83 in 1962. Stan Lee claimed he was added to the Marvel Universe so that the Hulk could have a powerful adversary. Show for Thor products at the Hammer Store. Toylab is part of Amazon Associates and offers from products through Amazon. Where was Thor during the events of Civil War find out in this hilarious video with Chris Hemsworth and Mark Ruffalo from SDCC 2016. After not being invited by either Steve Roger or Tony Stark to their teams, Thor decides to start his own team......Team Thor. Thor is a member of the near immortal Asgard race deemed gods in Norse Mythology. His Father is Odin, primary god and leader of the Norse Pantheon, his mother Gaea goddess of the Earth. The Gaea relationship is unique to the comic Thor and explains some of his affinity for Midgard / Earth. He grows up with close companions Sif and Balder. He later forms a romantic relationship with Sif. Thor is nearly immortal, he has lived for a long time and had countless adventures prior to his modern Marvel adventures. He comes to Earth as a punishment for his arrogance. Odin casts Thor down to Earth due to his arrogant and insolent behavior to live as an ordinary man. Thor lives for a period of time as Donald Blake a doctor. Donald Blake is a partially disabled medical student. Due to the spell/enchantment used on Thor he does not remember being Thor. When he becomes a doctor he takes a trip to Norway where he witnesses an alien invasion scout party. Running into a cave he finds Thor's hammer that is disguised as a walking stick. When the walking stick is struck against a rock and he turns into the Mighty Thor. He crushes the aliens to smithereens. Thor lives a double life in the early stories sharing one body with Donald Blake. He helps the sick as a doctor while being Donald Blake. Working as he doctor he works alongside his future love interest the nurse Jane Foster. Eventually, Thor learns the truth of how he was cast down from Asgard. Seeing that Thor has learned humility Odin summons his son back. However, Thor refuses. He has fallen in love with both Jane Foster and Earth and has decided to stay. Later, Thor's memory of Foster are erased and rejoins a former relationship with the warrior goddess, Sif. Thor's adopted brother, Loki is a constant nemesis and sometimes ally. Loki is responsible for the creation of an array of super villains that go on to battle Thor and the Avengers. Loki is also behind a scheme to use the Hulk as a weapon that bring together the super group the Avengers. Thor is a founding member of the Avengers. He has since been part in one way or another every major Avengers series. He is considered to be one of the heavy weight Avengers from a powers perspective. Thor first battles then befriends an alien with similar powers named Beta Ray Bill. The two become close friends and have many adventures with each other. Thor goes on to fight epic battles against the powerful creatures of the nine realms. Avenger villains, as well as massive cosmic villains. Nick Fury gains the powers of Watcher. In order to disarm Thor he walks up to Thor whispers to him. The whisper is enough to cause doubt in Thor and he suddenly finds himself unable to hold up his Hammer. A woman then comes and picks up the hammer to become the new female Thor. This woman is later revealed to be Jane Foster. Jane is dying from cancer in part from her transformation into Thor. Jane serves on the Avengers as Thor. Thor now goes by Odinson as he feels he is unworthy of his own namesake. 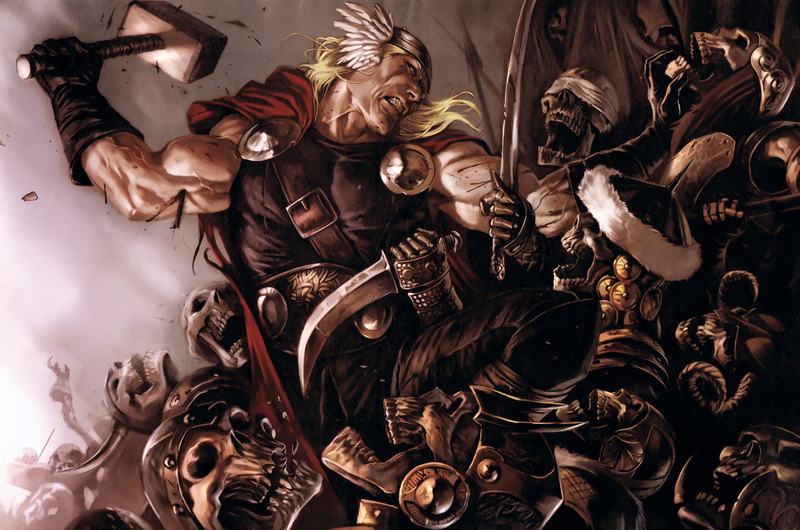 Odinson begins to use his magic axe instead of his hammer but the depowered Odinson is quickly attacked by his old enemy Malekith. Malekith cuts off one of Odinson's arms and keeps it as a trophy. Odin has Thor provided with a new arm made of Uru metal. Gorr was a villain called the God Butcher who died in battle with Thor. Gorr's main point was that all gods were bad and that they took credit for things they did not do and in the end would cause more harm than help. By saying Gorr was right it seemed to cause enough doubt to seep into Thor's mind that he was no longer worthy to hold his hammer. 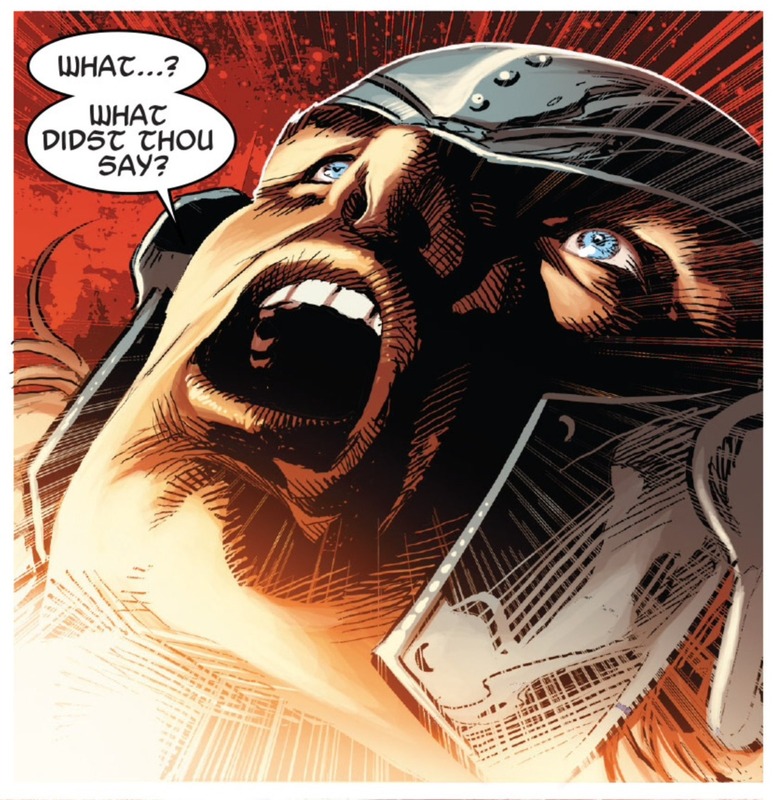 Thor comes to the conclusion that he no longer requires the other Hammer from the Ultimate Universe who leaves it to a mysterious character who called himself War Thor. Meet the different versions of Thor in Secret Wars! Thor is very powerful, and has knocked out and beaten powerful opponents such as the Silver Surfer and the Gladiator. Generally, battles with the Hulk and Thor end in a standstill. At times he has been shown to have the use of the full powers of Odin (Called the Odin Force) making him literally god like. 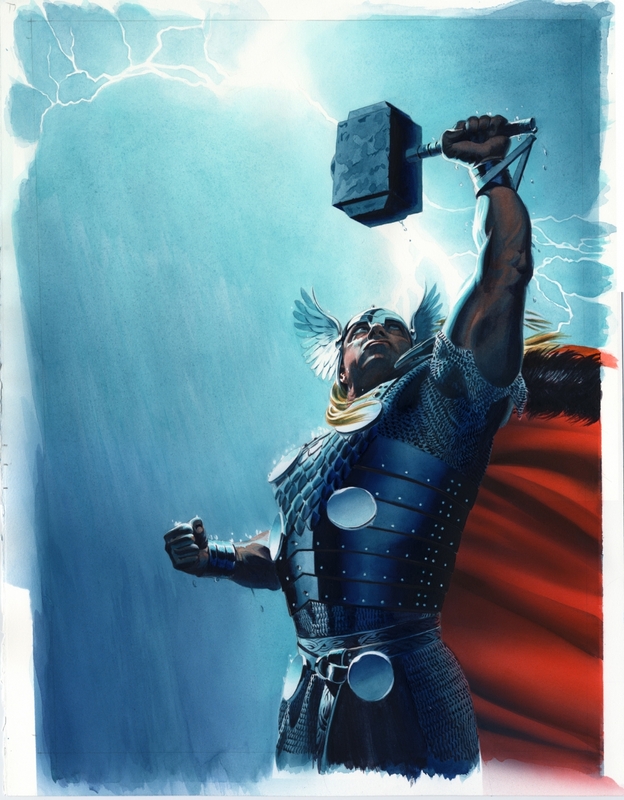 Strength - Thor is considered the strongest of all the Asgardians. The average Asgardian is said to be able to lift up to 30 tons. Thor's limit of strength is not clear but it is clearly far above 30 tons. His feats of strength are insane. Thor's full strength punch is capable of shattering and destroying a planet. He has also lifted Asgard with ease with the help from Beta Ray Bill. He can also enter a berserker rage like state called berserkergang or Warrior Madness where his strength goes up by a magnitude of 10 times but in this state he crazy and will attack anyone who get in his way. On top of this Thor wears a belt of strength that magically doubles his strength and endurance. Immortality - Thor derives extended lifespan from consuming the apples from the goddess Idun. He has already lived a millennia. Time moves differently for Asgardians than it does humans and in some ways he is much younger than his age would indicate. It is difficult to translate Thor's life into human years because the Asgardian experience is so different. While Thor has gathered up immense amount knowledge over his millennia he often acts like a rash teenager. He can simultaneously act heroic and self sacrificing, while being bull headed and arrogant. As the Norse god of weather he can control natural weather, lighting and storms. He can also at times control the Earth creating canyons and Earth quakes through the powers of his mother Gaea. Godblast - Emits an ultra powerful blast that uses some of Thor's Life Force. Flight - Can fly using his hammer, and even travel at faster than light speeds in space. Martial Skills and Intelligence - Thor can be brash but he does possess many, many, many years of battle experience. 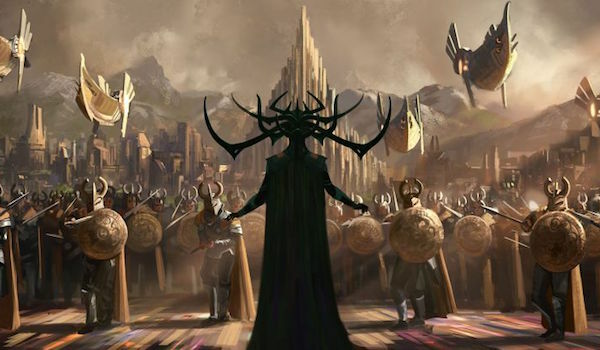 Thor was introduced to the Marvel Cinematic Universe in the movie "Thor." Thor is played by actor Chris Hemsworth. In addition to the movie "Thor", Thor has appeared/stared in the movies Thor 2 The Dark World, the Avengers and Avengers: Age of Ultron. He is slated to appear in the upcoming films Thor 3 Ragnarok, and potentially the Avengers: Infinity War films. Thor 3 Ragnarok has Thor attempting to thwart the end of the world. Thor joins forces with fellow Avenger the Hulk to battle a cosmic threat in Hela goddess of death.